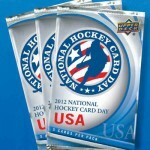 Upper Deck will continue National Hockey Card Day for a third year in a row–or NHCD as us cool kids call it. 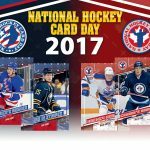 On Saturday, February 12, 2011, hockey card collectors in Canada can get a free pack of hockey cards at their local card shop or at participating chain stores. 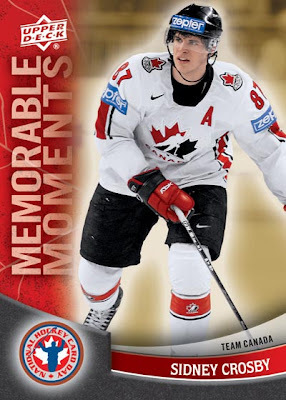 The cards themselves are from a special, 16-card NHCD set that will feature some of Canada’s most popular players. That’s right–this year the set will have an extra card, whereas the previous two NHCD sets had 15 cards. Personally, I wish Upper Deck would also have NHCD in the United States. Yes, hockey is “Canada’s sport,” but the U.S. has 80% of the NHL teams. Go figure. 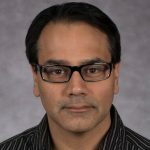 Plus, there is greater opportunity to grow the hobby in the U.S. with such a promotion. 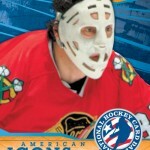 What if Upper Deck were to have International Hockey Card Day next year, and give out cards in Canada and the U.S.? They could even take it a step further and give out different sets in each country. While the NHCD set strictly has Canadian players (Gretzky, Crosby, Lemieux, Toews), the United States counterpart could feature some awesome American players from past and present (Joe Mullen, Chris Chelios, Jim Craig, Ryan Miller). And you’d end up with collectors in one country trading with collectors in the other country so as to get both sets. This idea has potential. 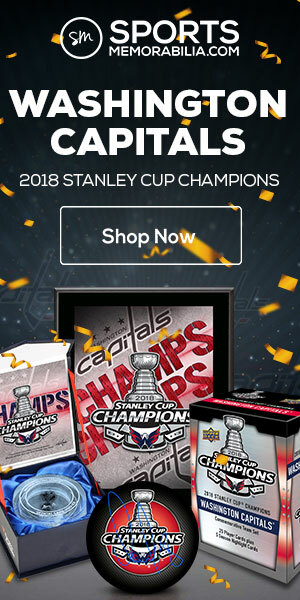 Would someone pick me up a complete 2011 NHCD set? I will gladly trade for this year’s set (plus a wrapper), or purchase one if the price is right. 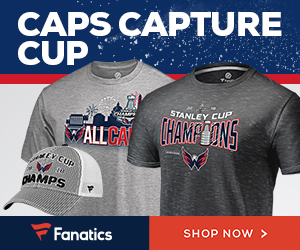 I was thinking about Europe too…but how relevant is the NHL in Slovakia, the Czech Republic and the Scandinavian countries? It would be cool if each country had it's own set that featured players from their respective countries. That would be cool. I forgot that Stan Mikita was originally from Czechoslovakia.